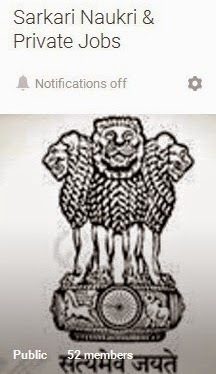 Aadhaar Card Online 2019 Status: Check Your Aadhaar Card 2019 Status Online Get here Aadhaar Card Status 2019 Online also Govt Of India Aadhar Card Application Form as now Government of India provides new facility for all people of India on new web portal https://resident.udai.net.in Unique Identification Authority of India (UIDAI) to view Aadhaar Card Status Online Enrollment Forms for common man which is free of cost. Currently UIDAI offers 03 modes of forms to apply for Aadhaar Card i.e. a) Eaadhaar b) Aadhaar on Mobile c) Book Online Appointment at official web site……………….https://resident.uidai.net.in/……………….https://eaadhaar.uidai.gov.in/...................... After doing all these you can view online Aadhaar Card Status very easily on mobile also. Further information of Aadhaar Card Status 2019 regarding application process, update data, mobile sms, help desk, complaint status, duplicate print out, importance, child enrollment, grievance centre, jeevan pramaan and how to check status etc is mentioned below……………………. Residents have to upload a self signed (self attested) copy of relevant documents for update/ correction. a) E-Aadhaar- Check link given here and fill your name, e-mail, mobile number and click on OTP. Then you will receive one time password in mobile number. Enter that password and click on verify OTP. b) Aadhaar on Mobile- Enter your enrolment id, date, time, mobile no. and security code and get your card pdf file. The online booking has been started on trail basis at selected enrollment centers. People comes in this centres can book their appointment. It act as identity proof, school admissions not of citizenship it means is valid throughout the country. In future it will be help to get available govt and non-govt. service in future. You can link up your bank account with Aadhaar card no to avail LPG gas subsidy. Enter your EID, date/ time (dd/mm/yy hh:mm:ss) and security code, click on check status. Did you check your Aadhaar Status to know if your Aadhar is generated? How to Enroll a Child 0-5 years? One of the parents/ guardian should have EID or Aadhaar No. Resident is advised to go for re-enrolment, only if earlier enrolment has been rejected. In case there is correction/ change in your name, gender, date of birth, address or mobile number, you can get it updated at https://ssup.uidai.gov.in/ssup-home. 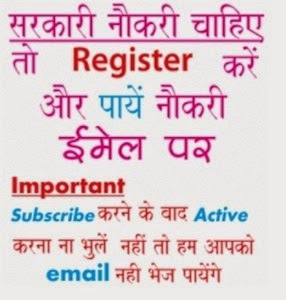 Remember enroll for aadhaar only once. UIDAI Grievance Centres - The helpline number is 1800-300-1947 and e-mail id is help@uidai.gov.in, remember only users of this system residents, registrars and enrolment agencies can use this helpline. i lost my phone number.i cannot download my adhar card.what can i do?pls suggest me.its very emergency to me.pls sugest me.